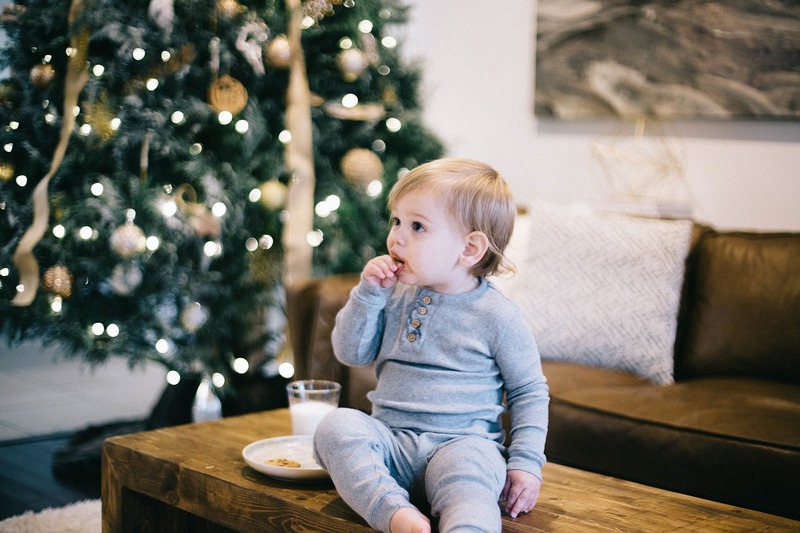 Whether it’s babies first Christmas or your little one is just starting to sit up and understand what is going on around them, there’s no denying that Christmas is the best time of all, and even more so in the eyes of a child. Christmas Day is gone as fast as a child tearing wrapping off a present, so as December approaches it’s all about making the most of the festive period in the run up to the big day. Stuck for ideas or not sure where to start? Here’s 9 things you have to do with your baby this Christmas! Meeting the big guy has got to be the number one priority, especially for babies first Christmas, although they might not appreciate it just yet, it’s an iconic moment and will create memories and photos to look back on and treasure in years to come. You have your own little family now so why not create your own Christmas tradition. Whether that’s creating a Christmas Eve box for your child, baking Christmas cookies or reading a Christmas story every evening during December – be creative and do something that makes you happy! The Christmas decs certainly don’t have to stop in the living room – using bright colours in the nursery will help to stimulate and engage baby, especially by using fairy lights and bright prints and decorations. Additionally, it will create such a cosy haven for you all to enjoy. The law of odds probably suggests that you’ve done this already, but hand and foot printing at Christmas time makes the most perfect, memorable Christmas cards and tags for your friends and family. Use their tiny hands or feet to create the base for Christmas scenes like a reindeer, Christmas trees, snowmen or a robin. You can then help little one to paint on the additional bits to make a sentimental piece that you’ll want to keep for yourself too. During Christmas there are plenty of light shows and Santa’s sleigh parades going on across the UK, search for events going on in your local area as you’re bound to find something that will take your interest. Light shows and parades are an exciting and enchanting way to introduce the bright lights of Christmas to them. It’s something that the whole family will enjoy together whatever your age. Oh, yes. This year has seen a rise in companies making matching jumpers and pjs for both adults and children, and we think it might be our favourite thing ever. Imagine the family photo! If you’ve already got a little one you might have this down to a tee, but if it’s your first year having to think about Father Christmas what sort of traditions do you want your child to have? Will they have to leave a mince pie and carrot out? Will footprints in the snow be left for the morning? Does he bring something small or the main present? How does he get into the house? And do you leave stockings or a sack out? There’s so much to consider, but anything you choose to do isn’t right or wrong, as a family you can decide how to do your Christmas. Whether you rope in a professional photographer or set up a self timer, the photos are all going to have that sentimental value that you’ll treasure. Now’s the time to wear those matching Christmas jumpers or wear something festive. Don’t forget to use your Christmas tree for the backdrop and practice those candid laughs and smiles! Grab yourself a jar, some strips of paper and a pen. Write a different Christmas themed activity for you and baby and place it in the jar. In the lead up to Christmas take an idea out to do each day. It could include anything you wanted such as watching a Christmas film, putting the decorations up, going for a wintry walk, making Christmas cards or going picking for pine cones. It will keep you busy and active in the run up to Christmas, and your little one will love it. You may have to make it an annual thing though! What Christmas plans have you got lined up for you and your baby? Keep up to date with the latest news from BabyDam over on our Facebook page or Twitter!